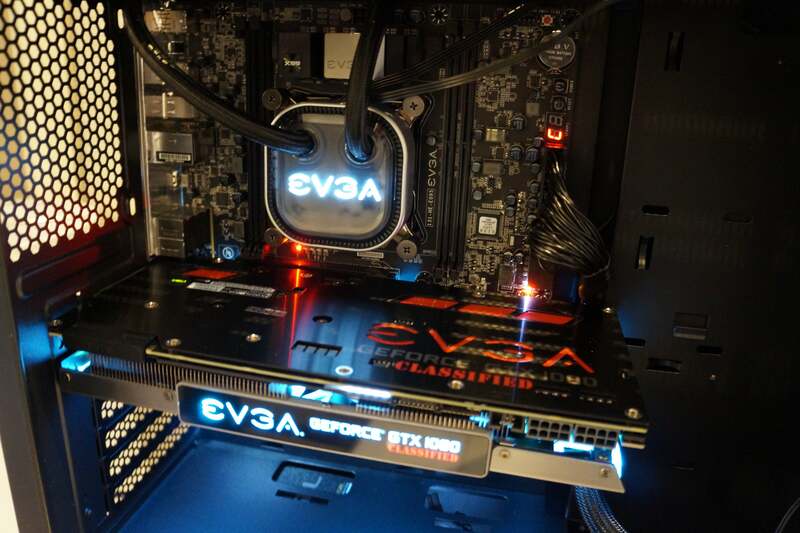 From cases to CPU cooling, EVGA wants in. You probably know EVGA from its deep lineup of cool-yet-quiet GeForce graphics cards, or maybe its highly respected power supply lineup. 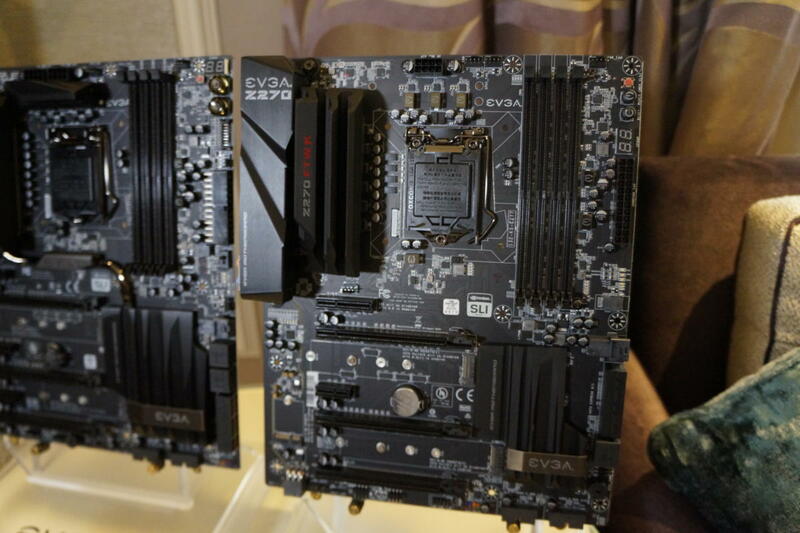 But now EVGA is aiming to take over every part of your PC. 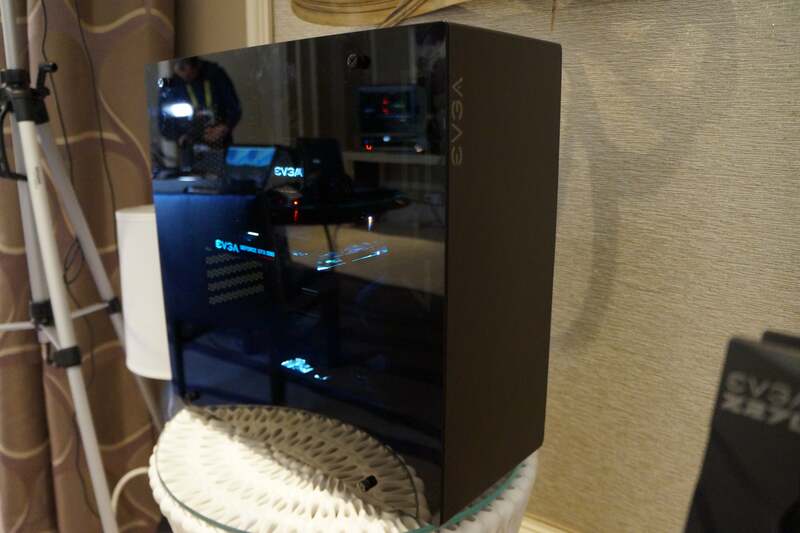 The first hints of the invasion popped up at last year’s CES, when EVGA revealed its first-ever enthusiastically high-end, unabashedly giant PC case, the DG-87. Proving that was no fluke, EVGA’s back this year with the DG-7, a much more restrained mid-tower case with a tempered glass panel, room for four storage drives, and space for water-cooling hardware… which segues to the latest addition to EVGA’s PC lineup. 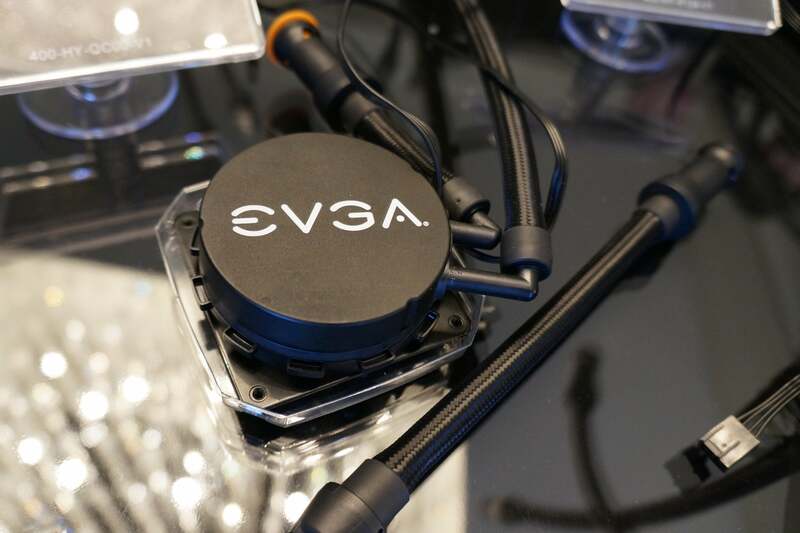 EVGA now sells water-cooling hardware, and it’s actually pretty wild. The EVGA Quick Release cooler ecosystem blends the ease of closed-loop liquid-cooling with the versatility of custom water-cooling builds. You buy the main CPU cooler pictured above, then select the parts that are right for your specific PC build. EVGA’s offering various sized radiators, a GPU cooler, and extension cables that all carry the same easy-to-use Quick Release fittings on their ends, so the various components of your made-for-you build marry together with minimal muss and fuss. Special EVGA software will allow you to control the system’s fan speeds and the CPU cooler’s RGB lighting, as you’d expect. 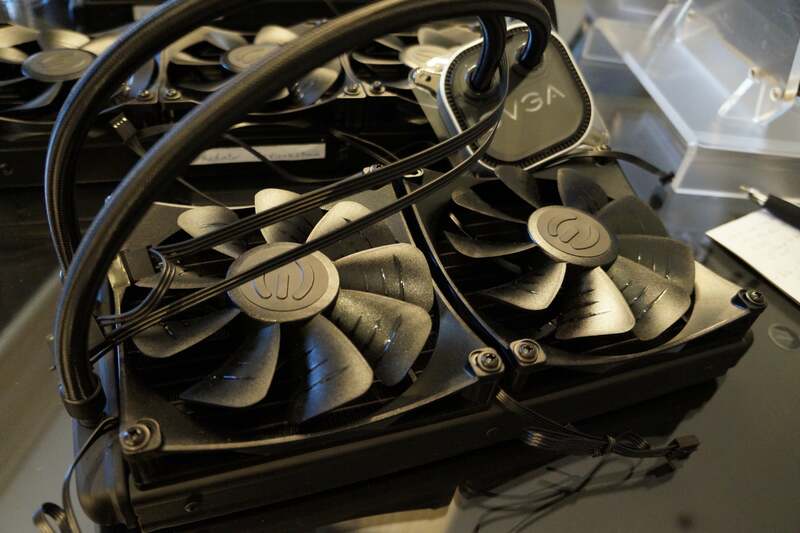 It’s EVGA technology, so of course the company is also offering a graphics card compatible with the new cooling system. EVGA’s forthcoming closed-loop liquid cooler, of the non-Quick Release variety. Looking for a more simple and straightforward closed-loop CPU liquid-cooling solution? 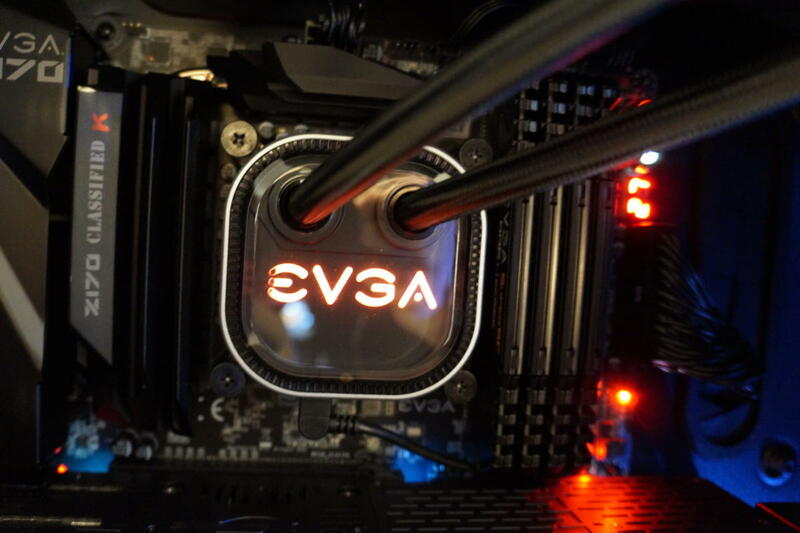 EVGA is rolling that out too, sometime around the end of January. There’s a 120mm version selling for somewhere around $90, and a 240mm model in the $140-ish ballpark—though final pricing hasn’t been settled on yet. An EVGA GTX 1070 with the new ICX cooling system. 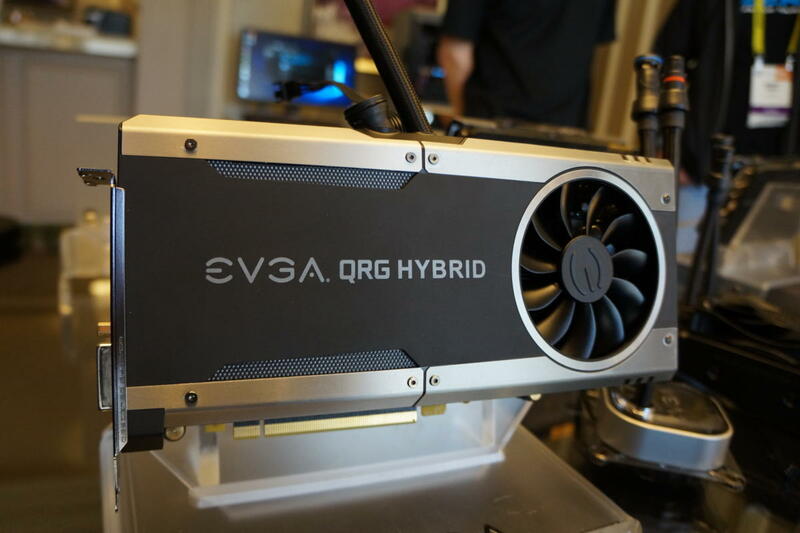 EVGA also enhanced its existing product lines. 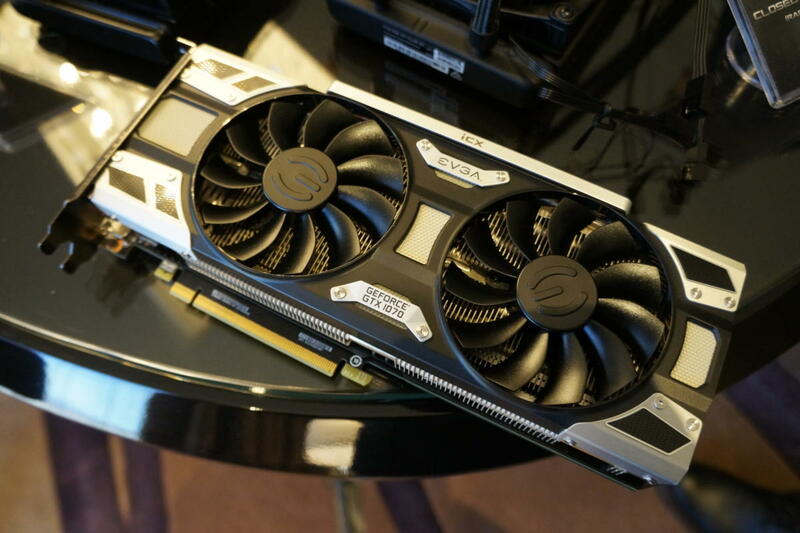 Product manager Jacob Freeman teased me with a GTX 1070 graphics card featuring a new “ICX” custom cooling system that will soon be offered alongside the company’s existing ACX-equipped graphics cards. Freeman couldn’t go into specifics due to some lingering patent details, but he says that ICX is “more than just a simple new cooler,” and that VRM temperatures will be reduced to 10 to 15 degrees Celsius compared to cards with ACX cooling. 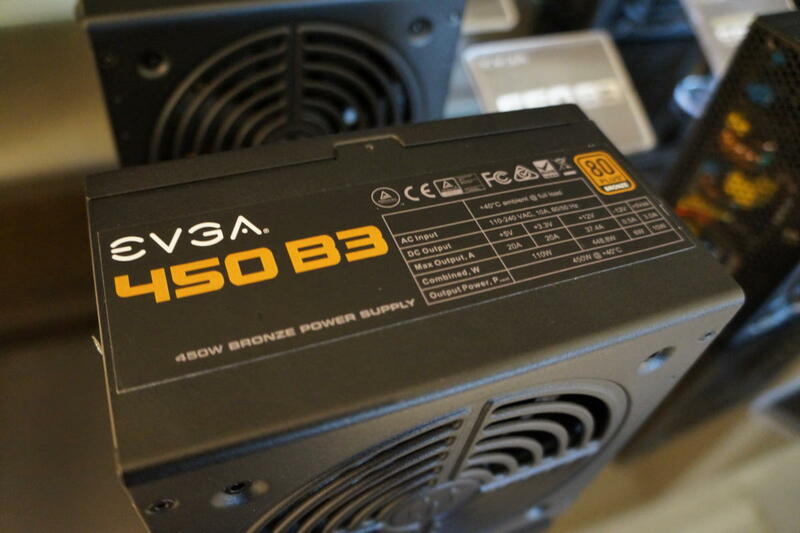 A new B3 series fleshes out EVGA’s SuperNova power supply lineup, packing the same fluid dynamic bearing fan as the pricier G3 series PSUs, but with different wattages and 80 Plus Bronze certification rather than Gold. Finally, EVGA’s rolled out a trio of new Z270 motherboards to support Intel’s newly released Kaby Lake desktop processors. The big draw here—well, beyond the inherent capabilities of the new Z270 socket—is U.2 SSD support across the line. EVGA’s Stinger mini-ITX board received the biggest overhaul, adding an M.2 SSD slot on the rear of the motherboard and on-board 802.11ac Wi-Fi, which Freeman says customers were begging for. At this point, you can almost build a complete PC using only EVGA products. The only hardware missing is storage and CPUs—and Freeman says there are no plans to dive into either of those segments.